When decorating your home, hard flooring, such as woods and laminates, can make a stylish addition to your rooms. And when you choose the right underlay, hard flooring can also offer a number of specific benefits over carpet underlay. One of the biggest benefits hard floor underlays offer is the reduction in impact sound. 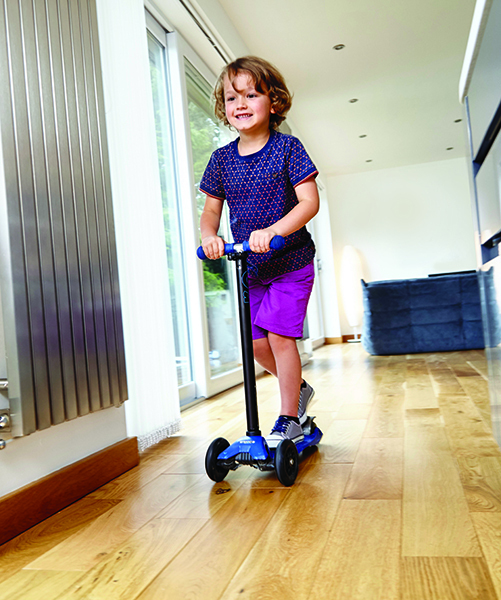 Footfall on hard floors can sound loud and sharp, disrupting your peace and quiet at home. However, the right underlay can make a big difference by reducing and mellowing the sound to preserve your precious peace and quiet. As well as being beneficial to your home life, your hard flooring underlay can also make it easier and quicker to fit your flooring in the first place. This is because the underlay will help to iron out any minor imperfections that may be in the sub floor. Along with this, it also helps to protect the joints. If you are using an underlay on a hard floor that is located above the ground floor, then it will also add mass to your flooring. This further reduces airborne noises being transmitted from the rooms below, which makes it ideal for upstairs rooms and flats where noisy neighbours may be living below. When it comes to reducing impact and airborne sound with your underlay, make sure you consider certain fitting issues. If your flooring is nailed to a sub floor, then the difference your underlay makes will be considerably reduced. This is due to the fact that the flooring will be rigidly coupled to the sub floor. Floating floors are preferable and can deliver far superior results in sound reduction. There are also benefits to fitting underlay on wood or laminate ground floors as well. A good quality underlay with a barrier will help to keep moisture at bay for cold concrete or stone floors, protecting both your underlay and flooring from potential damage. As hard floor underlays are a specialist technical product, all our products are available under our Duralay® brand. 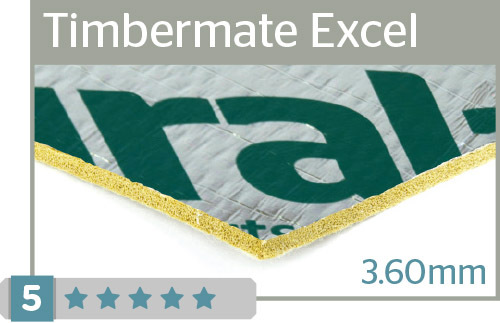 This guarantees quality, durability and longevity in your underlay product. 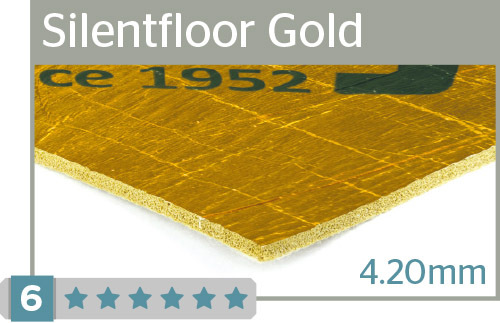 We recommend Silentfloor Gold as an ideal underlay product for wood and laminate floors, with Timbermate Excel and Duratex also being excellent choices.